Annual use, 2 bed/2 bath. Make an Offer! 2 Bed, 2 Bath with lockout feature, annual floating use, Gold season. 2 Bed, 2 Bath with Lockout Feature. Annual Floating Use, Gold Season (weeks 24-38). 2 Bedroom, 2 Bath Unit with Lockout Feature. Platinum (ski) Season, Annual Use. Reserved for February 8-15, 2020! New Years Week in Park City! 2 bedroom, 2 bath with lock-out, annual use. 2 Bed, 2 Bath, Annual Floating Use, Silver Season. Seller has two weeks, buy both and save! When you arrive at the finely appointed Marriott’s Summit Watch timeshare resort, its impossible not to notice that the vacation club is located on Main Street, just a few paces away from the ski lift in the heart of Park City, Utah. This is the skiing area that hosted most of the Olympic skiing venues for the 2002 Olympics and the area known for having "the greatest snow on Earth." If your passion is skiing, then there isn’t a better location anywhere in the country to buy a Marriott’s Summit Watch timeshare resale. With all that Park City has to offer, you may find yourself visiting your Marriott’s Summit Watch timeshare in the summer, when you can take advantage of the golf, mountain biking, fishing, hiking, horseback riding and a variety of water sports at one of several nearby reservoirs. Not to be forgotten is the shopping and fine dining and a variety of festivals and events that take place all throughout the year. The one constant, no matter what time of year you arrive in Park City, is the understated elegance, comfort and convenience of the Marriott’s Summit Watch timeshare resort. A Marriott’s Summit Watch timeshare resale is not only a place to sleep after a day on the ski slopes. 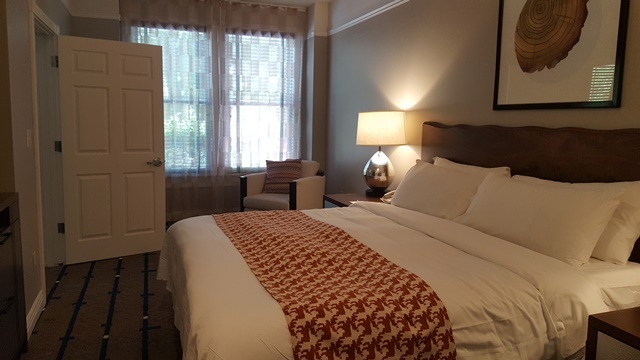 Instead, the two-bedroom villas provide fractional owners with exceptional comfort and alluring features, such as down-feather pillows, plush comforters, flat screen TV/DVD, coffeemaker and tea service. Unwind in the hot tub in your large bathroom or enjoy a cup of hot cocoa while keeping warm in front of the fireplace. The kitchen is full-service with a conventional oven, dishwasher, microwave and refrigerator with icemaker. On site you will find an activity center for the kids to enjoy games and arts and crafts. There is also an indoor and outdoor pool. If you feel like taking a day off from the outdoor activities you can still get a work-out in the fitness center located right in Marriott’s Summit Watch. Once you become a timeshare owner you will never want to sell a Marriott’s Summit Watch. Marriott’s Summit Watch timeshare resort is perfectly situated at the bottom of Main Street, within walking distance of great shops and restaurants. It's across the street from Park City Mountain Resort’s Town Lift, so the skiing adventure begins easily there or at the three nearby world-class ski resorts. Park City is conveniently located about 40 minutes from Salt Lake City International Airport, a large hub served by 11 airlines and 700 flights leaving and arriving every day. Park City is one of the only places where you can fly into the airport in the morning and be on the slopes an hour later! When in Park City, you are anywhere from nearly 7,000 feet above sea level to more than 8,400 feet high, with some ranges in surrounding Wasatch Mountains as high as 10,000 feet. Combine the altitude with a winter average temperature between 24 and 33 degrees and it translates to 143 inches of snow every year just in town. At one of the three ski resorts, that figure jumps to 350 inches of perfect, white powder. There is no better place to buy a timeshare! Although Park City and Marriott’s Summit Watch is a destination for the snow, there is also plenty to do in the town of 7,000 people. The city is a former silver mining town that was incorporated in 1884. It was actually the silver mining that began the next great industry in town. In 1963, Park City Consolidated Mines built the first lifts and started the ski business. Now there are three resorts that attract skiers from around the world: Park City Mountain Resort, Canyons Resort and Deer Valley Resort. A fascinating byproduct of the mining boom and growth of Park City are the 64 buildings in town on the National Register of Historic Places, including quite a few on Main Street close to your Marriott’s Summit Watch timeshare. After a day of site seeing, finding a place to eat will be easy - there are more than 100 restaurants in town with cuisines ranging from Thai, Chinese, French and Southwest. And there’s plenty of shopping, with four different shopping districts and more than 100 boutiques. Park City also is known for the internationally acclaimed Sundance Film Festival every January, which attracts movie moguls and celebrities from around the world. But Sundance isn't the only festival hosted each year in Park City. In July, the town puts on the Park City Food & Wine Classics, followed in August by the Kimball Arts Festival. This festival, the longest running in the West, features jewelry designers, live music, potters, painters, and plenty of activities for the kids. Rounding out the summer lineup is the Park City Jazz Festival every August, one of the better known Jazz festivals in the country. Peruse Marriott’s Summit Watch timeshares for sale now. Our agents at Premier Timeshare Resale will help you find a timeshare resale deal at Marriott’s Summit Watch or any other resort you’d like. There is no cost for our service in finding you the best priced Summit Watch timeshare for sale. If you are not looking to buy a timeshare, but instead are thinking “it may be time to sell my Marriott’s Summit Watch Timeshare” then you’ve come to the right place. We are located on Main Street just below Marriott’s Summit Watch and are your best choice for selling a Marriott timeshare. We never charge a fee in advance. We get paid when you get paid! See “Why Sell with PTR?” for more information or contact us directly.